On Sunday January 28th, we are hosting a workshop facilitated by IKMF Director Avi Moyal. 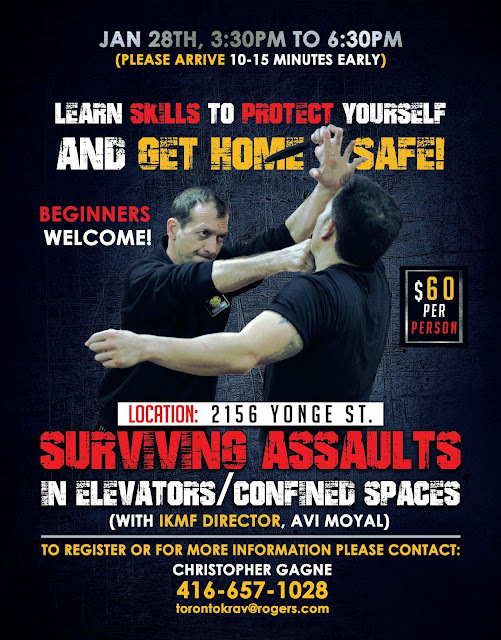 Many assaults occur in confined spaces - elevators, small rooms etc - making escape very difficult. Understanding Assailant Tactics: Are You Alone?